The home loan closing process may be lengthier than you think, so be sure to ask your lender, as well as friends & family and even your local agent what they have seen as an average. Because, after getting a purchase offer accepted, the next question that most investors want to know is how long is it going to take for the loan to close so they can receive funding and begin their next project. Unless the buyers are going to pay in all cash for the property, it is the buyer's lender who will determine the length of time required to process the loan and close. A buyer and seller can agree to an earlier closing date in the purchase contract all they want. But ultimately, if the lender can't perform during that time frame, it doesn't really matter which date is selected, because it's not going to close on the date the buyer and seller specify. It will close when the lender is ready to close. Which is why closing quickly is something we pride ourselves on here at Glassridge. So, in order to lead up to this loan closing process you've already filled out and completed a loan application, discussed funding options with your lender, received a Good Faith Estimate (GFE), submitted your financial documentation, had a home appraisal conducted and after an underwriter review, you've finally received an approval for your loan. The only thing left to do is close your loan. Congratulations! The first action will be to have the last review and document signing. 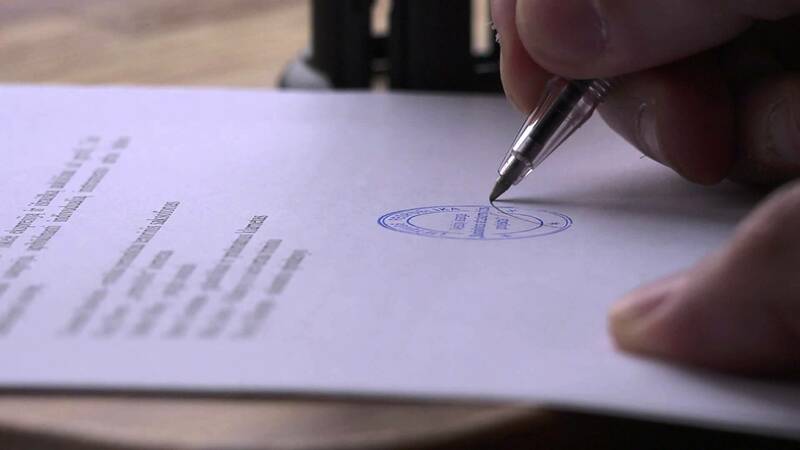 At this stage in the process, every loan document and agreement will have been signed and notarized at the same time. We've discussed some of the critical documents you will encounter during your signing in more detail within our other blogs. HUD-1 Settlement Statement -- Itemized list of all the charges/credits in the transaction. Loan Note -- The terms of your home loan. Deed of Trust -- Puts your property up as collateral for the loan. Remember: if you're acquiring a new loan you do not qualify for the right of rescission, so it is of great importance to understand the loan terms the first time around. Items you will most likely need to bring with you for the document signing include: a valid state or federal I.D., a certified check for any closing costs or down payment if it's a purchase loan, and your homeowners insurance. Be sure to double check with your lender or escrow officer about what to bring with you for your signing appointment. Once you meet all the closing criteria, your home loan will be ready to finance. By this stage you've already agreed to the loan terms, signed all of your loan documents and waited for the 3-day right of rescission to no longer be valid. Now you're loan is thankfully ready to fund. Your lender will conduct a final review and release the money to the title company, who in turn will conduct their own final review of the property's title. If satisfied, the title company will then release all monies to the escrow company to dispense to all parties involved in the transaction. An important factor to note is that once a loan "funds", this does not mean that the loan is closed. It's only officially closed after the next two steps are completed. If you're purchasing a new property, you will have signed a deed, which is an agreement transferring ownership of the home from one owner (them) to another (you). This deed has to be recorded with the county in order to officially state the new owner of the property. It's incredibly important that you make sure your deed is free of any errors. Any discrepancies in the deed filing with the county may jeopardize the validity of your ownership of the property. This deed recording process will actually be taken care of by your escrow agent. It may potentially take several weeks or even several months after the closing appointment, this will depend on how busy your local agency is. It's fundamental to make sure that your deed is filed because there are situations that may occur causing your deed to go unrecorded. If a deed isn't filed correctly, you will not be on record as owning the property that you've just purchased. As soon as your home loan is financed, the money will be disbursed to each party involved in the transaction. The closing agent will take care of distributing the money based on the lenders escrow instructions. In a usual scenario, the individuals in a transaction who will receive funds include: the seller, seller's lender (if the property has a current mortgage), your current lender (if this is a refinance), real estate agents and other service providers involved with your project. If you're closing on a property with the intention of a Fix & Flip, you'll most likely be eager to gain access right away. New homeowners will receive the keys to the home on the possession date which will appear on the purchase agreement. If the possession date and the date of your closing happen to fall on the same day, then you'll receive the keys at the closing appointment and you can move into the home without delay. If your possession date is on a different day, you should make plans to receive your keys at a pre-selected time. This overall process of closing a home loan is streamlined and systematic. Once the documents are signed, that's when the seasoned professionals step in to take over. The process of signing these loan documents can take several hours to complete so, as the old saying goes, patience is a virtue. Another thing to bear in mind is that closing may be prolonged if there are mistakes or errors located within the documents. Also, if there are disputes that arise during closing with a purchase, the capital may be held in escrow until both parties involved can come up with a resolution. And it is for this very reason, that it is imperative to thoroughly review the documents on the days leading up to closing to avoid any delays in the loan closing process. These are actually a few of the 10 Tips To Make Sure Your Hard Money Loan Closes Fast. For many investors, this can be one of the most frustrating parts of the entire process. Whether you intend to Fix & Flip or Buy & Hold, whether your focus is Single Family Residence properties or Multi-family Units, commercial or agricultural; waiting for funding to clear can, very much, be an anxious and restless task. But hopefully, armed with this knowledge, they can breath a bit easier knowing the systemic and routine nature of the procedures necessary for a loan to close.